eBay is a ginormous auction selling website which sells millions of items, and the biggest marketplace can bring the best prices. It’s not the only way to sell items mind you, as there are lots of specialist sites out there, auction houses, car boots etc but if you’re wanting to reach a huge amount of people, eBay is a site you may want to consider. Snap some photos, pop up your listing, post off your possession and pocket the cash. Job done. Release the clutter from your cupboards, and you could be on to a nice little earner. Never sold on an auction site before? Start small. Don’t charge in with a mega expensive item as your first listing – think cardigans not cars. Build up feedback from successful sales, to get more bidders and higher bids in future. What should you do with your extra money? Now that you’ve saved a few quid, we’ve a few ideas that will get you saving. Try them out here. First, open an account on an auction site like eBay. Bung in some contact and payment details, link to a PayPal account, (though you don’t need it to buy and sell on eBay, but it might not be as secure) and Bob’s your uncle. PayPal is a bit like a bank account, so you can receive payments easily without handing out your bank details to strangers. Worried about handing over your credit or debit card details online? Here’s some information you may find useful. Ready to sell? Click on the “sell” button at the top of most eBay pages. Type in a quick title (don’t worry, you can change it later), and select a category from eBay’s suggestions. You can list in more than one category, for a fee. Auction over? Wait for the payment to be confirmed. Send an invoice including the postage cost if you need to chase it. 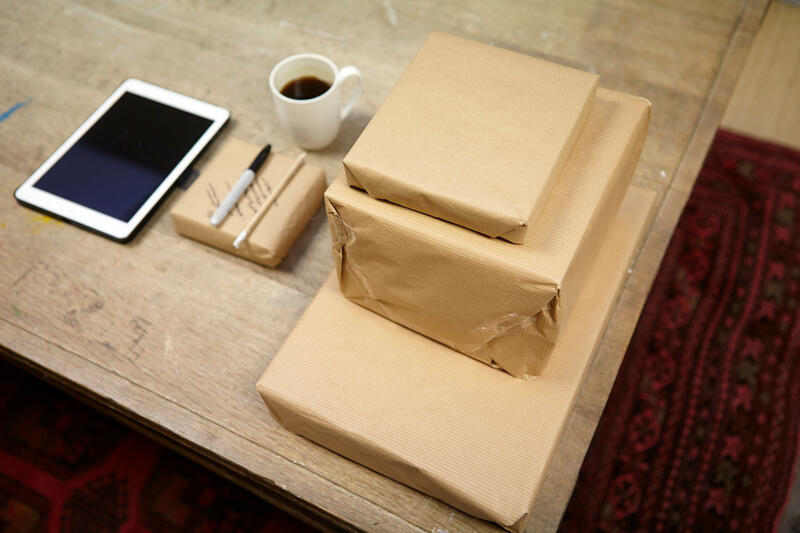 Make sure your item is packaged safely and securely, and get it posted off quickly, within a day or two. Cover your back: put a return address on the outside of the packaging, and ask for proof of postage. Then let the buyer know the item is on its way, send a tracking number if you have one and leave feedback for the buyer. Thinking of becoming a seller? Buyers are reluctant to shell out serious cash to sellers with zero feedback. One way to build up your rating is to buy a few items you need first, get a star rating and then sell your items because your feedback means you can be trusted. MoneySavingExpert has a boat-load of cheeky tricks like that, so you get the very best price for whatever you’re selling. So start by buying a few cheap and cheerful items. Pay promptly. Leave feedback for the sellers. Wait for them to leave (hopefully glowing) feedback for you. eBay can be pricey - eBay reaches loads of buyers – but you’ll pay for the privilege. Here’s the full list of prices, but long story short - you get 20 free listings a month (cheers!) but pay a 35p “insertion fee” for every item after that. Then allow for “final value fees”, a 10% slice of the selling price AND postage. There are also fees for added extras, like listing in more than one category. Finally, PayPal usually takes a cut of 3.4% of the final price, plus 20p per transaction, if your buyer pays with PayPal. Headache already? Use eBay’s fee calculator to work it out instead. Timing is key - Lots of bidding can happen at the last minute. Make sure your listing finishes when people are likely to be browsing the web, rather than fast asleep in bed. (Think 7pm to 9pm mid-week and Sunday evenings). Longer auctions mean more people see your stuff. You get a choice of 1, 3, 5 or 10 days, so opt for 10 for more chance of your unwanted Snuffle Bunny getting a good price. Fixed price “Buy it now” listings can last for up to 30 days. If you’ve had a bad experience – It can be nerve-racking handing money over to a stranger online and although eBay generally has a good reputation, sometimes things can go wrong. eBay has a money back guarantee if you’re not happy with your purchase and will mediate if you’re a seller and the buyer hasn’t paid up. If you’re using Paypal, you’re protected from false claims and chargebacks, so make sure you know your rights if something does go wrong.